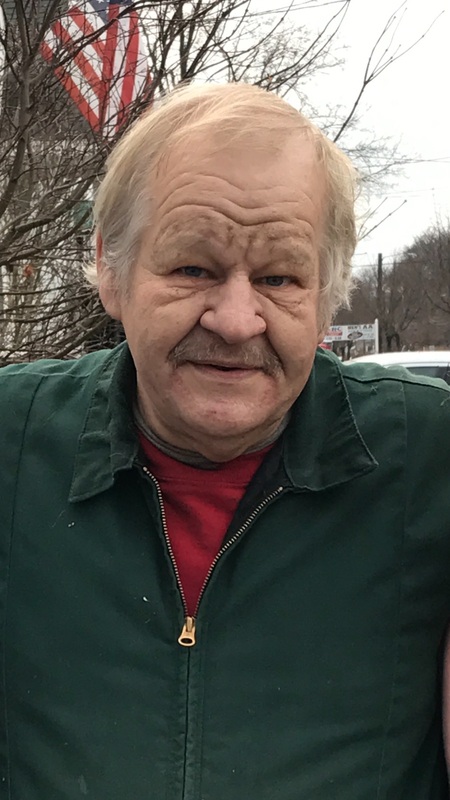 Sebastian H. “Butch” Smith III, born June 11, 1952 to Sebastian and Julia Smith, passed away July 16, 2018. Butch became an animal enthusiast at a very young age. His knowledge of animals was beyond what you would find in any book. From the smallest guppy to the largest lion, if you had a problem … call Butch! He was a former Vet Tech at the NEO College of Medicine and Sigler Animal Clinic. He worked in many local pet stores and in his final years of life struggled to manage his own pet shop, Tanks-A-Lot of Firestone Park, until he became too weak to continue. He had been a member of the Greater Akron Aquarium Society, pigeon clubs, and the Ohio Cavy Club. Butch raised show quality guinea pigs and won many blue ribbons at county fairs. One of his favorite sayings was “I’m gonna be Rich, Famous, and Well Known.” Butch was the first to hatch and raise an Emu, he knew a multitude of people, and “Rich”, well he may not have had two nickels to rub together, but the love he had in his Big Heart for his kids made him the richest man ever! Butch was preceded in death by his parents and brother-in-law, Arthur Dobbins. He is survived by his children; James (Cassi), Jamie (John), Sebastian (Sherry), and Julie; eleven grandchildren, Thomas (Kelsey), Dariann, Edward, Gabrielle, Dylan, Jordan, Gavin, Emma, James, Liam, and Lydia; one great-grandchild, Kaiden and siblings, Patty, Glenn, Becky, and Joe. Those of us who knew him will miss him deeply … those of you who didn’t, well you missed out! Butch’s family wishes to thank Eileen and Art Berry for helping fulfill his lifelong dream. A celebration of life will be held on August 12th from 3-6 p.m. at Clearview Church, 1733 Massillon Rd, Akron 44312. This is the best written summary of an amazing man…. we will miss you more than works….. our trips to auction, collecting card board, helping with the fur babes, and just to have someone to talk to. You were like a dad to us, we love and miss you. So Beautifully written…I have a few awesome early childhood memories of Uncle Butch. But my Aunt Deb, Uncle Bill and Gram Lavonna always had the coolest stories about Uncle Butch & Family….My Love, Thoughts & Prayers to The Smiths. I was in classes with Butch at David Hill Elementary School…a long time ago. He was always very nice and quiet. It has been years since I have seen him, but I was saddened to hear that he had passed. May God keep your family during this difficult time. Only met Butch once and just recently found out he had passed away. He was a great guy and definitely knew what he was talking about when It came to animals. Condolences to his family. May he be at peace. I meet butch at a Guinea pig show, he was a very nice guy, and he will surely be missed dearly. Rest in peace my dear friend!!! I wish I could be in Ohio for Butchie, we had some wonderful times growing up! He was a sweet kind man! I send my love and thoughts to children and siblings. May God comfort you in this time of need! I admired him for always trying to surround himself with the things he loved most. I hope the memories of that love surround his family forever.